Lancashire all-rounder Steven Croft has signed a new one-year deal, which will also see him coach at the club's youth academy this season. The 34-year-old, who came through Lancashire's academy and has played for the county since 2005, received a testimonial from the club last year. "I am extremely proud and excited to extend my stay at this great club," Croft said. "Playing cricket for Lancashire has never been a job to me, but a passion." Croft continued: "I could never see myself playing for anyone else. 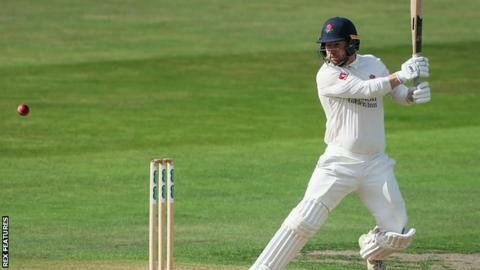 "I'm entering my 15th year as a professional at the club and I want to finish my career as a Lancashire player. "At this stage of my career, whilst I feel like I've got a lot to offer as a player, it's important that I start looking at opportunities following my playing career, so to have the chance to further my coaching experience while still playing is something that was very important to me." Lancashire head coach Glen Chapple added: "Crofty has been a terrific servant and we're thrilled he's signed a new contract. "He leads by example and gives everything he's got for the county and it's great that he will be helping out with the club's age-group sides and academy as he builds up his coaching experience."